For those of you who have been longing to buy an authentic star trek communicator or one of Shatner’s impeccably ripped shirts from the Star Trek OS episode “Amok Time,” you’re in luck! The Shatner Store is having a sale! And I would never have known if it weren’t for Twitter, the rich microblogging source of instantly updated information that makes it easier than ever to find out what your favorite celebrity had for lunch. It’s still not quite as popular as the ubiquitous Facebook (or perhaps my data is simply skewed because Facebook is allowed on campus and Twitter still is not), but I finally had to come to grips with presence of Twitter after seeing multiple online news articles making use of politician’s tweets as sources. That got me thinking. We know what politicians and celebrities are thinking, but what would it be like to get inside the head of some famous authors? If they had Twitter. 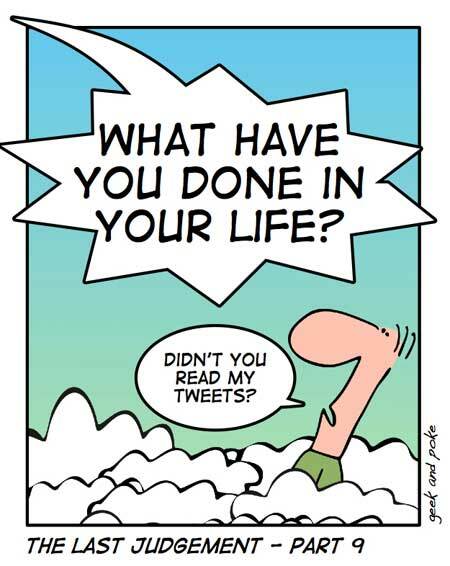 . .
To tweet or not to tweet–that is the question. I just spent a dreadfully dull evening at a card party. I considered amusing myself by pouring tea on the gentlemen next to me. There is no possibility of taking a walk today. ‘Tis brillig and the slithy toves doth tweet and google in the wabe. Received another letter from an “S. Gamgee” today. At least it wasn’t signed “S. Gollum.” That would be a good deal worse. Acabo de acabar de escribir un libro acerca de un hombre loco que decidía hacer un caballero. Un día, seré famoso. "In a hole in the ground there lived a hobbit...."